Remember this date: April 27, 2019. In case you’re not up on your 1,200+ National Celebration Days, that’s National Pool Opening Day – time to pull off the tarp and get skimming! The problem for those of us living in Connecticut is that April mornings and evenings can still be quite chilly: in fact, average temperatures in our service area can dip into the 50s well into June – not exactly prime weather for a dip. For many of us, that means putting off any serious pool time until summer – which is a bummer, considering we will probably have to close our pool in September. But what if you could extend your pool season by a month or more? You can if you have a propane pool heater. A propane pool heater works the same way your home water heating system does: it burns gas to warm cold water, then cycles the warm water back into the pool. Electric heat pumps – A swimming pool heat pump can only produce water that’s slightly warmer than the temperature of the air. That works if you live in Florida, but here in Connecticut? Not so much, especially early or late in the season, or in the morning or evening hours. Solar pool heaters – Solar swimming pool heaters are great – on clear, sunny days during the daytime. The question is, is that the only time you like to swim? 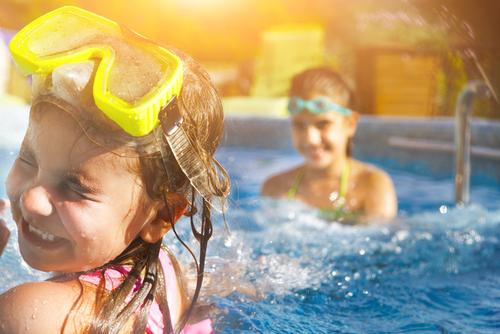 Natural gas – With propane pool heater, you will get the same performance as a natural gas pool heater without the complications of connecting to a natural gas line. Considering adding a propane pool heater to your Connecticut home? Make sure you have a reliable propane supplier to keep you swimming comfortably all season long. If you’re already a Jennings Automatic Propane Delivery customer, be sure to let us know if you add a pool heater so we can adjust your propane delivery schedule! 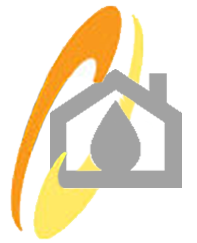 Jennings Oil & Propane Company – serving Fairfield, Litchfield & New Haven Counties since 1982!